Some of the best chefs from Triple D invade Flavortown Market in this leg of the Diners, Drive-Ins and Dives Tournament, where they must first prepare a lunch special using only ingredients that begin with the letters "D" or "G." The culinary contest continues with the best noodle dish made only from food items that cost $4 or more, then the final two chefs go bowling to pick the crazy ingredients in their Sunday supper. The last chef standing can bag up to $20,000, plus get a shot at winning even more in the tournament finale! Chefs from Triple D converge in the market for this leg of the Diners, Drive-Ins and Dives Tournament. In round one, they must check out through the express lane and make comfort food using seven items or less. Next, the chefs make their best dinner using the subpar ingredients from a game of Grocery Golf. Finally, each chef prepares a dish that their competitor made up for them using refrigerator magnets. The winner goes on a shopping spree worth up to $20,000 and earns a slot in the tournament finale! A wildly diverse group of chefs from Triple D descends on Flavortown as the Diners, Drive-Ins and Dives Tournament continues! The heat is on as chefs make a hot sandwich without shopping in the meat, cheese and deli aisles. Next, they're challenged to create an out-of-this-world international dish determined by tumbling dice, and finally, they must make a pork dish with wild ingredients picked out of the claw machine. The winner goes on a shopping spree for up to $20,000 and earns a slot in the tournament finale. Triple D alumni from across the country mix it up in the market in this chapter of the Diners, Drive-Ins and Dives Tournament. First, chefs must shop for a family feast using the smallest grocery bags ever seen. Then, they must prepare an elegant dinner that incorporates crazy ingredients picked by Guy Fieri's Food Pyramid. Finally, chefs must compose a daring dish using a food item they selected while blindfolded. The winner goes on a $20,000 shopping spree and nabs a spot in the tournament grand finale! The winners of the first four Diners, Drive-Ins and Dives throwdowns are back for the finale! First, they must dish out their best diner breakfast using a grocery list made up of emojis; then, the chefs must create the ultimate drive-in burger featuring a red light special. Finally, they must make an elevated dive bar dish using only ingredients from three aisles. The victor earns the coveted tournament trophy and a chance to more than double their winnings in an encore shopping spree! 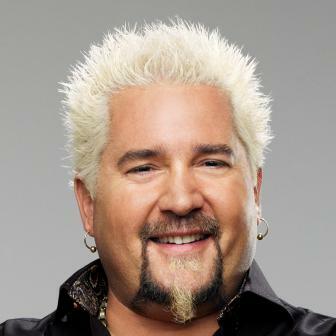 Guy's going like a house on fire with his hit Food Network shows: Guy's Big Bite and Diners, Drive-Ins and Dives.